FOUR IN A ROW – Glenelg defeated West Adelaide in the Preliminary Final to face Sturt in the Grand Final. Jack Oatey had the boys in peak form at the right end of the season. 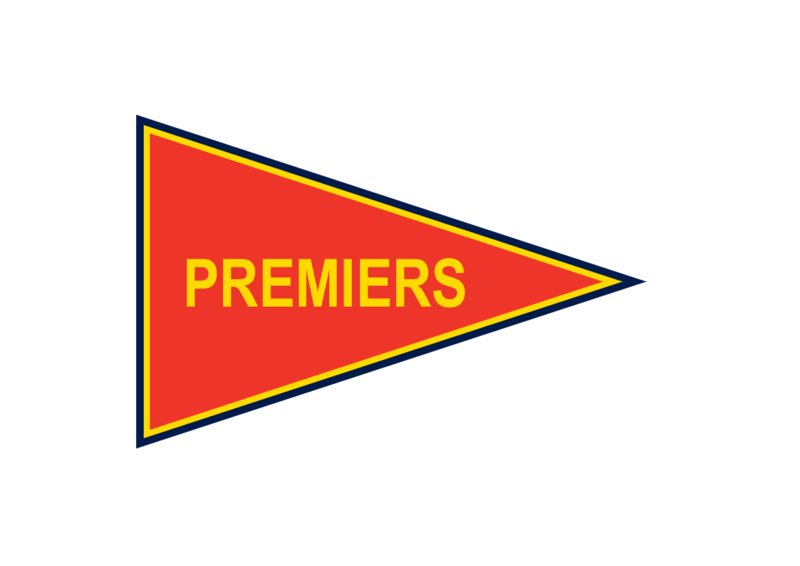 Glenelg were strengthened when Richmond champion Royce Hart was permitted to play for them under National Service rules. However Sturt completely out played the Tigers and at the first quarter break led by 24 points. At half time Sturt had stretched the lead out to 27 points. In the third quarter the floodgates opened with the Double Blues kicking 14.8 to the Tigers 8.6 to run out easy winners by 65 points. 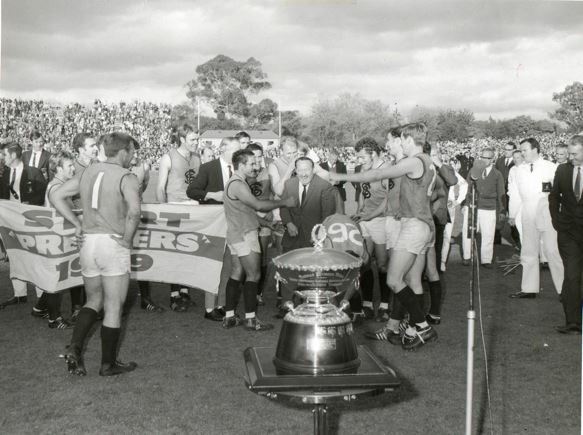 Royce Hart was probably the Tigers best player on the day, however, he could not help stop Sturt score 24.15 which is the highest ever kicked in an SANFL Grand Final. Malcolm Greenslade kicked 9.4 for the day, a feat matching that of another Sturt player, Gordon Green, who kicked 9.1 in the winning 1932 Grand Final. Best on the ground for the rampant Sturt was once again big game performer Paul Bagshaw while John Tilbrook was unstoppable up forward and finished with 4 goals.